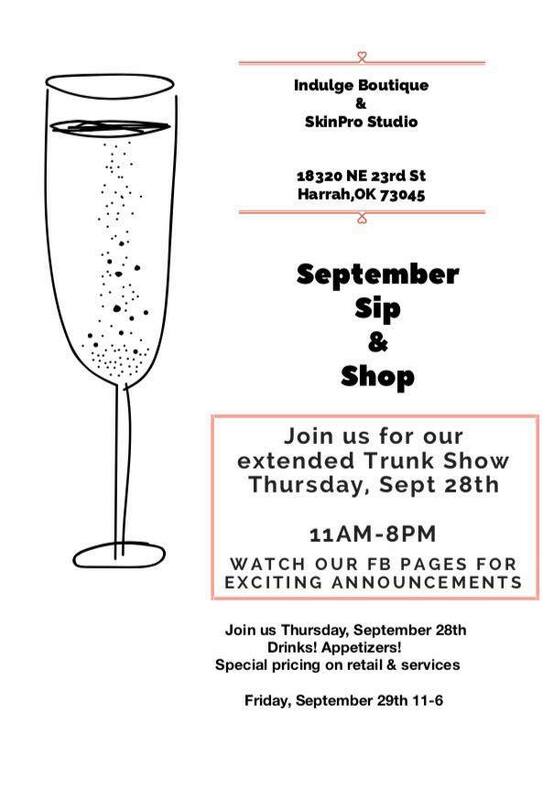 Trunk show with extended hours, 11 AM to 8 PM. Drinks, Appetizers, and great specials! See you there!